What is more South African than our classic national motif, the protea? Not only are proteas such beautifully unique flowers with their natural structure and style, but drawing colour inspiration from them is easy with their soft pastel colour palette. Dusty pink and pewter are such perfect wedding colours, and are a pretty choice for a romantic bride. 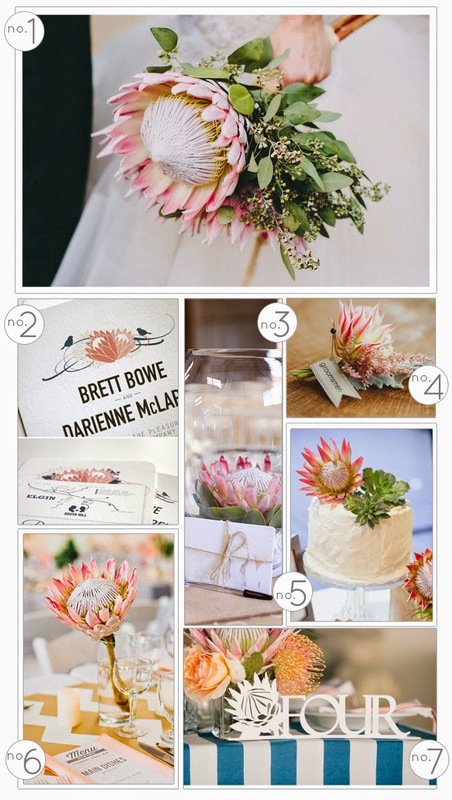 From bouquets, to table decor, to stationery, there are so many ways that proteas can be included in a wedding, and our inspiration board below shows you how.